Everybody always says "it's not what you know, it's who you know"......... but nobody ever teaches you how to know "who you know". This is our mission. When it comes to style it’s easy to focus on how it will improve the way other people perceive you, but I think this is a mistake. Improving your style is much more about how it will improve the way you feel yourself. It will improve your sense of confidence. And the best part is, it doesn’t even have to cost a lot of money. 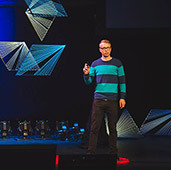 My friend Adam “Smiley” Poswolsky recently spoke at TEDx about the quarter-life crisis millennials are facing and how we can shift from jobs that leave us depressed and miserable to building a career that matters and finding meaningful work. Don’t settle. Watch his TEDx talk inside. 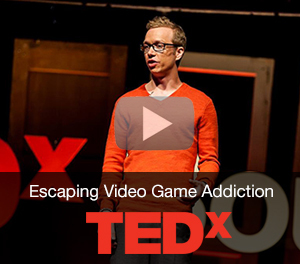 I was interviewed recently about how to overcome bullying and video game addiction. In the episode I share details on my own story (how I overcame it) as well as the latest insights I’ve had over the past four years. 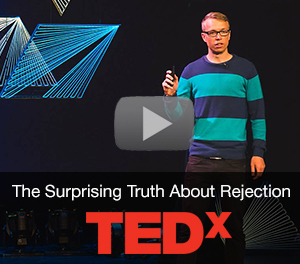 On July 25th I took the TEDx stage in Fargo, ND and shared my most heartbreaking rejections and biggest humiliations in front of hundreds of people. It was scary but for a good reason. We all have a desire to grow, to evolve, and to become stronger versions of ourselves. But sometimes we get stuck, and breaking through this barrier can be difficult. Here’s a 5 step process to shake the rut and start living your potential. A few days ago I flew to Orlando for the speech, and although I was happy with how it went, the process leading up to the talk was challenging for me. I had a lot of trouble figuring out what I wanted to talk about, anxiety and self-doubt. Here are 3 lessons I learned. I recently had the pleasure of being featured on Valhalla’s Superhero Academy, a podcast with Marc Coppola. Cam has been selected to give ANOTHER TEDx talk! I’m thrilled to finally announce the big news I received last week! On July 25th I will have the honor of speaking at TEDxYouthFargo on the topic of building your own justice league! Support us by purchasing through our affiliate link. Commission comes at no charge to you.